What are the benefits of HCG for men? 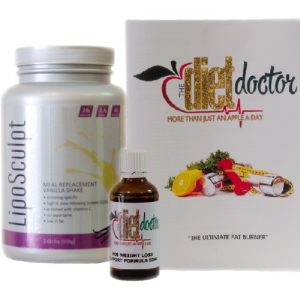 There are many benefits of the HCG Diet because its not just the weight loss that occurs. Increased cardiac health – weight loss reduces the risk of the hardening of the arteries. Obesity causes the heart to work harder because it has to supply more tissue with blood and oxygen. Over time, the constant stretching of vessel walls creates tears and plaque builds up. This condition eventually leads to heart disease. Lower blood pressure – Results when the heart does not have to work so hard to pump blood around the body, and weight loss can decrease strain on the heart. Healthier digestion – can result from the HCG diet because it allows the intestines to work less by the ingestion of foods higher in nutrients and fibre. Fibre allows substances to move easier through the intestines. Increased energy – Is expected with weight loss from HCG. When the body has less weight to carry around, it is able to apply energy to other functions. Decreased cholesterol – Can result from the HCG diet due to the decrease in fat and fatty foods. Cholesterol is a waxy substance found in the blood, and when it builds up, it can make it difficult for blood to flow freely. Decreased risk for stroke – When there is too much fat present in the body, it constricts the blood vessels, and makes it difficult for oxygen and blood to flow properly in the body. If blood and oxygen do not easily flow to the brain, a person may experience a stroke. Is there any side effects for men?